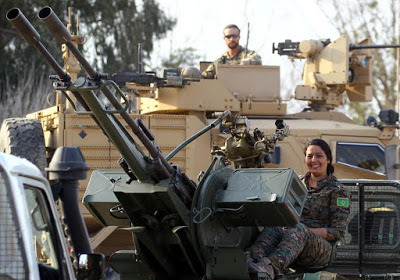 A fighter of Syrian Democratic Forces (SDF) holds her weapon as they announce the destruction of Islamic State's control of land in eastern Syria, at al-Omar oil field in Deir Al Zor, Syria March 23, 2019. 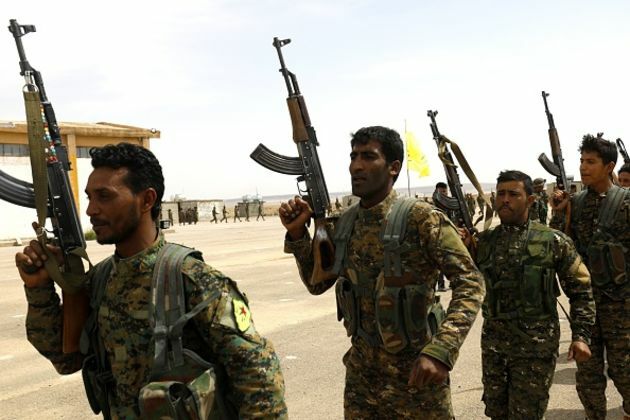 U.S.-backed forces proclaimed the capture of Islamic State's last territory in Syria on Saturday, eliminating its rule over a self-proclaimed "caliphate," but the jihadists remain a threat from sleeper cells around the world. 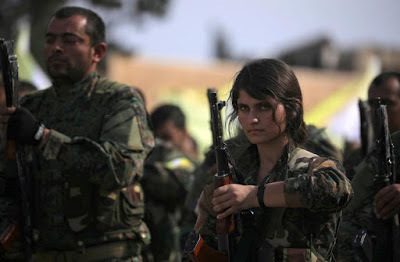 More than 11,000 Syrian Democratic Forces fighters were killed and 21,000 others wounded fighting IS, the group announced on Saturday following the group's formal liberation of IS' last enclave in Syria. "On this occasion we cannot but remember those heroes and pay tribute to the memory of the martyrs and wish the urgent recovery of their wounds, without their sacrifices we would not granted this victory," the SDF statement says.